Size : King h 3,8″ and Base h 1,18″. 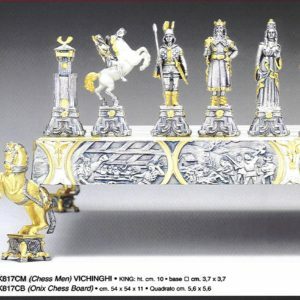 Material: chess pieces made by solid brass. The pieces are made with turn lathe machine and finish by hand. One side is natural brass color, the other side is nickel plated.